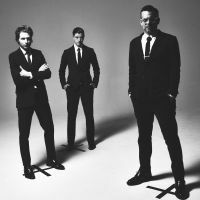 Interpol will be back in Montreal on September 12th, 2018, at the Olympia. Sunflower Bean will be the opening act. This is a great chance for fans to attend a complete Interpol concert, with their new album Marauder on the way. The release date is set for August 24th. Don't miss the return of Interpol in Montreal this Fall ! Be the first informed if we receive new tickets for Interpol. You will than get a priority choice in our tickets inventory. 2Tickets.ca acts as a third party and is in no way associated with Interpol.